The long-running show isn’t just science fiction – there’s something to be learned. 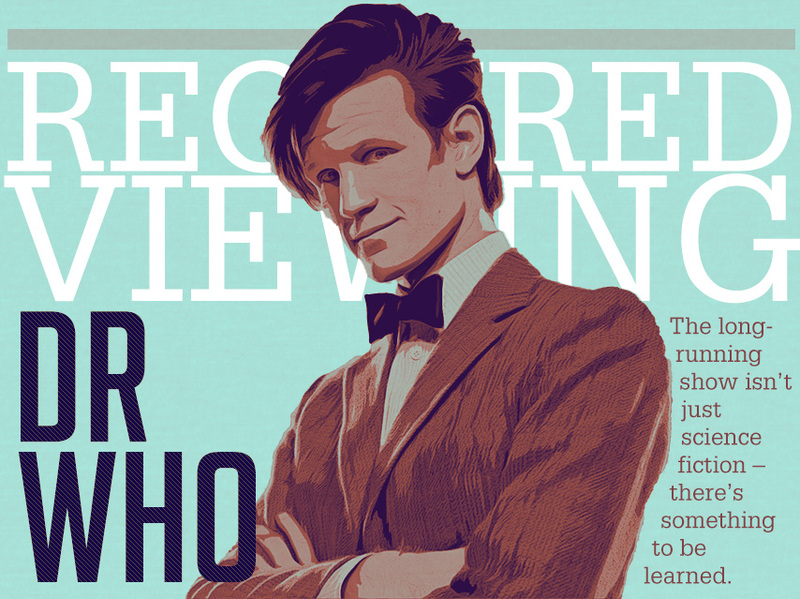 Since the show's revival in 2005, the BBC's Doctor Who has been captivating audiences far beyond its native UK and has become an international success. The fantastical story of an alien being with a time machine called the TARDIS fighting everything from killer statues to genocidal pepper-pots has appealed to millions worldwide, possibly due to the shows willingness to embrace its cheerful optimism at a time when the majority of science fiction has become grim and cynical. The companions all serve the same role of audience surrogate, who is able to ask the questions the audience is thinking and occasionally forward the story by wandering off and getting themselves in trouble. However, inside this singular role, companions are a diverse, unique and eclectic group of people, and each has an important lesson they can teach. Looking at four of the most prolific and prominent companions of the new series, their stories can teach viewers valuable lessons about their own lives. Rose Tyler – Anyone can make a difference. The first companion of the new series, Rose (Billie Piper) is the typical everygirl; an overprotective mom with a deadbeat boyfriend, and a dead-end job in a department store. As such, she didn't have much holding her back when the Doctor stumbled into her life and asked her to travel the universe with him. One recurring theme with Rose, at least initially, is that she has become a passive observer in her own life. In the first episode, she mentioned leaving school early due to a previous boyfriend, floating from one lousy job to another, and she generally seems to carry an aura of someone who just stands there and lets life keep knocking her on the chin. You don't just give up. You don't just let things happen. You make a stand. You say “no!” You have the guts to do what's right when everyone else just runs away! Rose finally learned one of the most valuable lessons of life: No matter how far life has knocked you on the chin, you will always have the power to stand back up, get mad, and swing back. That's the beauty of adulthood. Instead of simply having to sit back and take it the way you did when all of your decisions were made by parents, teachers, and other adults under the pretense of “we know what's best for you,” you get to make those decisions yourself. You've been given the reigns of your own life, now use them. Martha Jones – Don't be something you're not. Martha Jones (Freema Agyeman) stepped into the TARDIS after Rose's departure, and was the exact opposite of Rose in almost every way. Whereas Rose started off a little aimless, Martha was an ambitious medical student; while Rose just had her mother, Martha had a large, extended, and somewhat dysfunctional family. Rose hoped to travel with the Doctor forever, Martha just wanted to take a quick trip. However, the second she set foot in the TARDIS, she developed one strong similarity to Rose: She fell in love with the Doctor. A recurring problem that plagued Martha's tenure was the fact that the Doctor was still pining after Rose, and because of this, he spent a lot of time seeing Martha as a replacement for her. Martha, both understanding the Doctor's grief and having a crush on him herself, has great difficulty coming out of Rose's shadow. Becoming rather miserable and finally getting fed up with the situation, Martha decides to leave. This becomes even more apparent in return appearances where she's engaged, completed her medical studies, and infinitely happier. We spend a lot of our lives being forced into situations. “Take this job, the pay is great.” “You broke up with her? But you were so cute together.” Sometimes outside help can be helpful, but just as often, it can lead to misery. If other people are telling you to be something you know in your heart you're not, don't listen. It can never really end well. 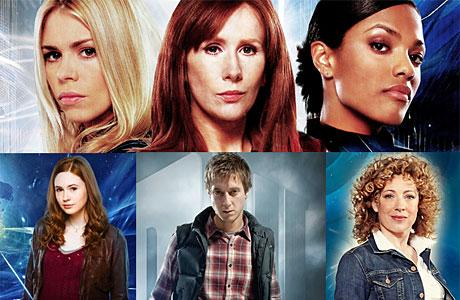 Donna Noble – Be careful of toxic relationships. The next companion after Martha was Donna Noble (Catherine Tate,) who was a definite departure from the previous companions: loud, brash, headstrong and downright rude at times. This led to her friendship with the Doctor, as friendly as the two of them were, to be equally strained at times. However, as her tenure in the TARDIS wore on, it became painfully clear that Donna's harsh abrasive nature came from a chronic insecurity and low self-worth. As the Doctor put it, she was “shouting at the world, 'cause no one's listening.” We also learn the majority of Donna's insecurities are the result of one person; her mother Sylvia. Donna found herself trapped in a problem most people deal with every day: toxic relationships. You probably have a relationship or two that seemed to do nothing but bring out the worst in both of you, but you hang on to it for some arbitrary reason. You've been friends since high school, she's your girlfriend's BFF, and yes, even because they're family. Now, obviously there are situations where it's not possible to merely harpoon the relationship and never speak again, nor should you. We as a society are already suffering from the consequences of a shortage of close personal relationships. However, you shouldn't silently tolerate toxic relationships, hoping that simply ignoring the issue will make it go away. This is a rewording of the definition of insanity. Toxic relationships will never get better unless directly addressed. Yes, confronting the issue will be incredibly uncomfortable, and yes, this obviously has the potential to backfire. However, you owe it to yourself and to the other person to not slowly poison each other and instead to make your relationship as healthy as possible. Amy Pond – Growing up is overrated. 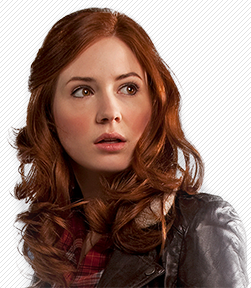 The next long-term traveler was Amelia “Amy” Pond (Karen Gillan.) Amy was unique amongst companions in the fact that, thanks to time travel, she met the Doctor at various phases in her life, with the first being when she was about eight years old and still calling herself Amelia. The Doctor had to leave, but promised to be back in five minutes and take her to see the stars. Unfortunately, with a faulty time machine, he overshot his return time and didn't show up until twelve years later. Thanks to this broken promise, Amelia was gone and in her place was Amy, much angrier, cynical and resentful. All the stories she told of the Doctor and his spaceship were drummed out of her by four different psychiatrists (they kept saying the Doctor wasn't real, she kept biting them,) and she was left with some major abandonment issues. Basically, Amy was forced to grow up, and the Doctor made it his personal mission to fix that. First off, let me preface this by saying this is not an excuse to be an immature moron throughout life. There is a difference between “youthful” and “immature,” and too many people confuse the two. There are responsibilities you absolutely should accept, but you don't have to accept them at the expense of the things that make the younger generation the happiest people in the world. Look at Amy: During her time on the show, she got married, had a daughter, and settled into a very comfortable home life… in between attacks by lizard people. However, even as she matured, she also regained a spark that showed the return of the cheerfulness and optimism that had been forced out of her. Keeping a youthful, positive outlook on life is not something we should be discouraging. It's OK to still be an optimist. One of the greatest features of well-written sci-fi is that it can take real-world issues, tell them in a fantasy setting, and make the themes relatable to everyone. That's what has given sci-fi its longevity and has helped make Doctor Who a worldwide success, even at a time when sci-fi on TV is struggling. The stories of the companions are universal, and should be learned from. Brandon Stanfill is a freelance writer and accomplished nerd. Born and raised in the mountains of East Tennessee, he obtained his English degree in 2010 and has since been putting it to good use. Yes! Love Dr. Who! A lot of people I know can’t get past all the cheesiness to see what lies underneath. You also really have to get past the first season, when the show was still finding its feet after being off the air for so many years. The first episode I saw was from season 6 and from there I decided I wanted to watch them all in order. I rushed into the first season, not really thinking I liked it at first. Looking back, the first season was actually one of my most cherished.